I often run along our bluff tops here in Santa Barbara admiring the ocean and our Channel Islands afar, looking out in hopes I may be so lucky to see one of my favorite ocean friends, the southern California sea otter. Today, I am excited to share with you that for the second time in just over two years, this month a federal judge ruled in our favor to protect the threatened sea otter! In early March, the judge denied a second challenge by commercial fishing groups to a U.S. Fish & Wildlife Service (FWS) decision to end the failed “no-otter zone” program that banned sea otters from their historic range from Point Conception to the Mexico border. 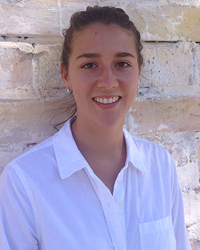 In this case, the Environmental Defense Center has represented The Otter Project, Los Angeles Waterkeeper and itself. Since 2009, EDC and our clients have been fighting the no-otter zone, as part of a failed 1987 sea otter recovery program that ultimately harmed the very species it was meant to protect. This month’s victory reinforces the FWS 2012 termination of the no-otter zone keeps in place our momentum in helping otters to reclaim their full historic range. The no-otter zone was established in 1987 in an ill-fated compromise between the FWS and the fishing industry. 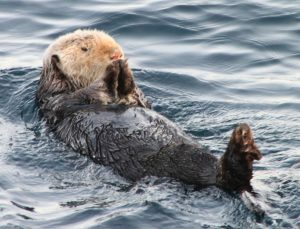 The FWS aimed to protect the sea otters from a catastrophic event, such as an oil spill, by relocating 140 of these marine mammals to San Nicolas Island and establishing a thriving population there.. However, the translocation effort proved deadly, as only 10 percent remained on the Island after four years, while the other 90 percent tried to swim back, or perished. Despite the failed translocation plan, the no-otter zone stayed in effect for over two decades. In 2009, EDC brought a lawsuit on behalf of The Otter Project and itself, challenging the FWS’s failure to act on making a required decision: whether or not the translocation program had failed, and if so, the no-otter zone must be terminated.. Not only had the FWS stated that the no-otter zone pus sea otters in jeopardy, the agency had also begun the process of ending the zone several times. Despite the FWS’s promise to make a decision regarding the zone by 2006, a rule was never finalized and no further action had been taken since then. EDC and The Otter Project reached a legal settlement with the FWS in 2010 which required an assessment on the otter translocation program and a final decision on the fate of the program by December 2012. Sea otters have faced survival challenges for the better part of the last 300 years, beginning with the Pacific Fur Trade in the 1700 and 1800’s. Driven to the brink of extinction, the struggling population continues to face threats from increasingly developed coastlines, decreased water quality from storm water and agricultural runoff, and increasing shark predation. What some may not know is that sea otters are a keystone species, and are vital to the existence of their habitat. As the only marine mammal without blubber to keep them warm, they have to eat up to 25% of their body weight each day, feeding on herbivorous creatures such as sea urchin. This is where the problem comes in for commercial fishing groups and urchin divers. However, without sea otters keeping urchins in-check, urchins will continue to deplete kelp forests, resulting in an ecosystem low in productivity and biodiversity. Sea otters were first given protection under the North Pacific Fur Seal Treaty in 1911, and were subsequently protected as a “threatened” species under the Endangered Species Act upon its enactment in 1973. Where their numbers were once in the 10’s of thousands, the most recent estimate of the southern sea otter population is approximately 3,000 individuals. Thanks to the 2012 ruling compelled by EDC’s 2009 lawsuit and upheld by a court ruling in the fall of 2015 and again this month, sea otters are able to return to their historic habitat and have a fighting chance of repopulating Southern California’s coastal waters. Not only is this good news for the smallest marine mammal out there, but having these once absent creatures back in our waters will restore our depleted kelp beds and greatly improve the health of our marine ecosystems. This success is additionally worth examining at this time when threats to the Endangered Species Act are once again being proposed in Washington D.C. 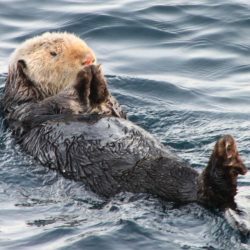 While the southern sea otter has not yet rebounded to a full and healthy population, this important species is coming back and has the opportunity to continue to do so thanks to the protections from the Endangered Species Act. This vital law must be sustained if we are to have resilient ecosystems and a healthy environment.